Write down all the bad things that are associated with your weight. **Are you missing out on relationships? **Are you worried about your health? **Are you worried about dying early? **Do you want to see your children get married? To be perfectly honest, obesity is currently the second leading cause of preventable death in the United States, just behind smoking. If you are overweight, you have a very good chance of dying earlier than you should. Write this stuff down. The goal here is not to make you feel bad, but instead I'm trying to help you see whats really important in life, and let you know there are love ones who care, and need you. Do you remember when you were a school kid and the teacher gave you a homework assignment that was due in a week? How many of you ran home and finished the assignment on the first day? Ok, a few of you probably did. However, if you were like me, I waited until the last minute to do the assignment. Why? Why did I wait until the last minute? Because I associated more “pain” with the process of doing the assignment than the “pleasure” I would get from knowing I had finished it. That is, until the night (or morning) before it is due. Now, the assignment is due in a few hours and all I can think about is the “pains” that will come if I do not get it done. I will fail, my parents will get mad at me, I will get grounded and not be able to play with my friends. So what do we do? We do the damn homework, even though it causes us pain. 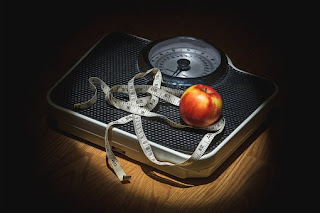 This might sound a little harsh, but the only reason you have not lost weight is because you associate more “pain” with the process of losing weight than the “pleasure” you will get with losing weight. When you eat that donut you are thinking about how good it pleasures your taste buds, but instead of thinking that you just added another 200 extra calories that you did not need which can cause you to gain more weight if you continue down this path. Overeating on things such as donuts on a constant basis, without a proper diet or exercise, can lead to weight gain, which may cause you to feel unattractive, and even worse more likely to cardiovascular disease issues if you are not careful. I know you can do this, 1'm here to help...so lets get started. Now write down your three month goal, six month goal, and one year goal. Be realistic. Think about losing one to two pounds a week as a goal. Put these goals somewhere you can see and read on a daily basis (Like on a sticky placed on your bathroom mirror). Let this sticky note be the reminder when you wake and start each day that you can do it. Remember little steps, Rome was not built in one day. No more tomorrow,..."Why wait...Today Iz The Day"